Designing the chart for this was a new experience for me in many ways; first and foremost–I had to actually think about the aspect ratio of the stitch for the first time. Crochet stitches are for the most part, square, so charts for crocheters can be made with squares without distorting the overall image. 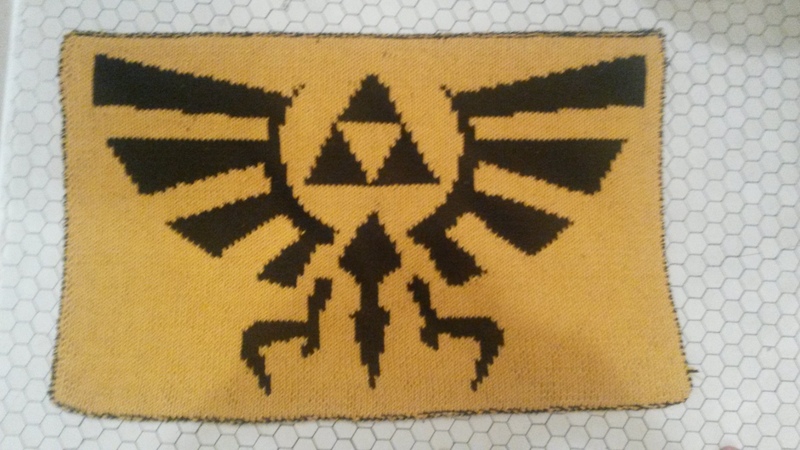 Knitting stitches are fatter than they are tall, so if you don’t take that into account, the final image can be distorted. 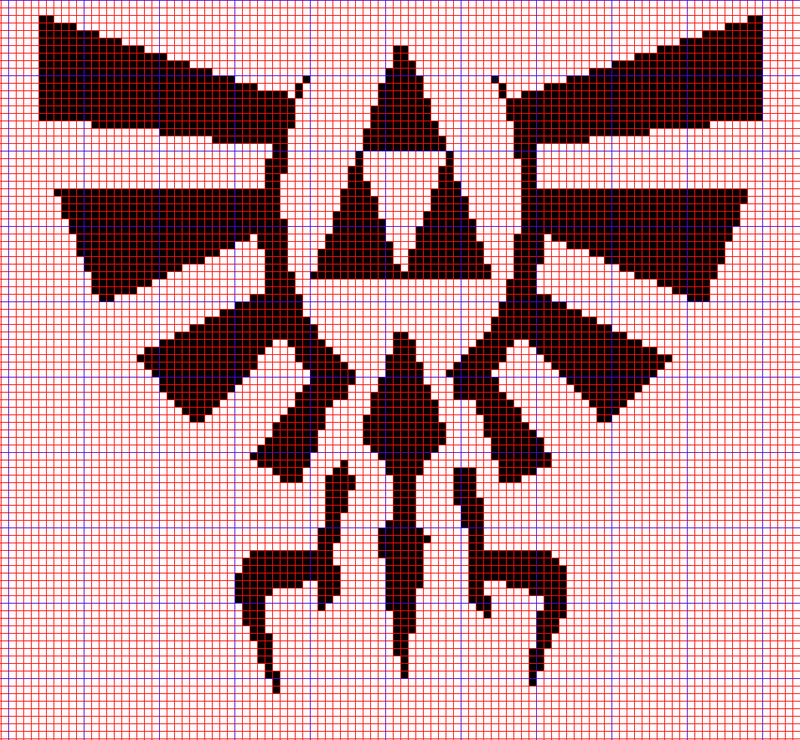 To account for this, there is knitter’s graph paper available online which is made up of rectangles with specific aspect ratios rather than squares. Since I was making this chart on Photoshop, what I did instead was to stretch the image a little vertically to compensate for the eventual horizontal stretch. This method didn’t quite spit out the final chart; there were some gaps and extra boxes I didn’t like. I fixed them in the pattern to make it a bit smoother. 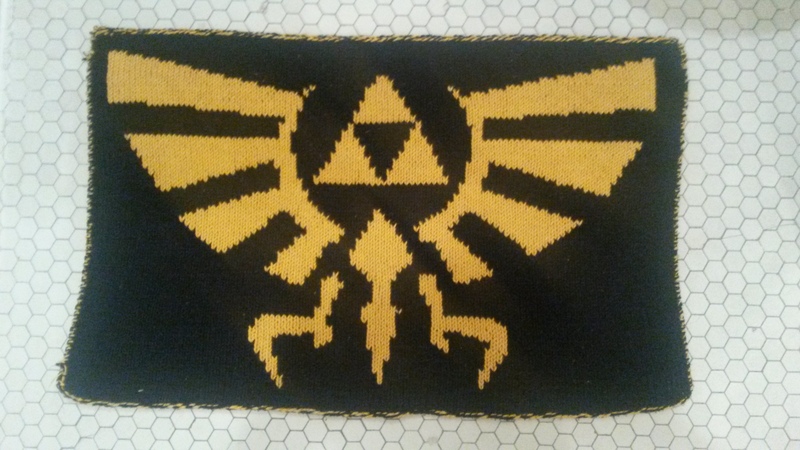 Also the pattern isn’t symmetric which bothered me at first, but I got over it. And in the final product you can only tell if you stare at it obsessively for a long time. 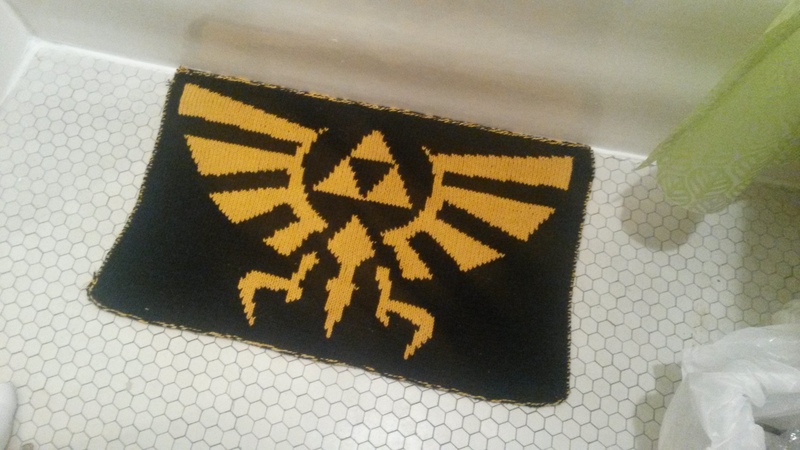 And here’s the bathmat in its native environment.